Guess he didn't get the memo. 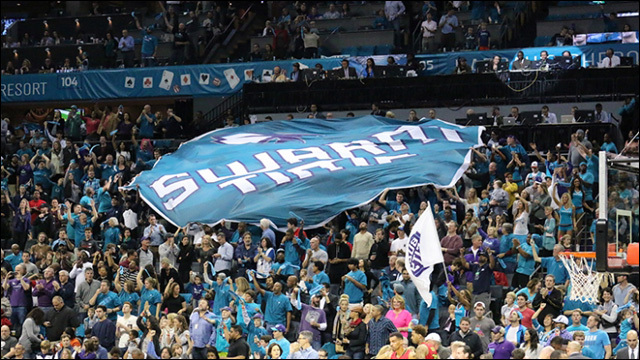 There sure were "a lot of Oriental fans" at the Charlotte Hornets home opener. Real quick. I point your attention to this opinion piece posted on NBA.com, recapping the Charlotte Hornets' home opener last Sunday. The author notes that there was a visible increase in Oriental fans in the crowd, no doubt attributable to what he calls "the Jeremy Lin impact." Hey wait, did you just say "Oriental"? Er. Guess he didn't get the memo. I'm not going to hold this against you, Charlotte. (Note: "The opinions expressed here are his own and do not necessarily reflect the views of the Hornets organization.") But dude, let's catch up to 2015.